Frances passed away after a brave fight. She was surrounded by family on Thursday, March 21, 2019 at the age of 71. 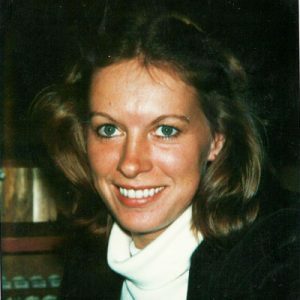 She is survived by her loving husband, Horst Wismann of 48 years; daughter Nicole (Jeff); son Jared; sisters Sherry (Gordon) Tetz, Gayle (Bill) Kenney, Pat (Dale) Eurich, Bev (Dave) Ulvann and Kim (Rick) Linseth; brothers Rod (Doreen) and Buck (Cindy); and numerous nieces and nephews. Frances is predeceased by her parents Sheila and Fred. A Celebration of Life will be held on Monday, April 1, 2019 at 1:00 pm at Springfield Funeral Home, 2020 Springfield Road, Kelowna. The service for HAYWARD, Frances Lynn is scheduled for Monday, April 1, 2019 at 1:00 pm. Below you will find the map for the service location and the contact information should you have any questions. Horst, you are in my thoughts and prayers in this time of sadnes. Fran was such a lively and happy person. As a member of Kelowna Garden Club it was a pleasure to know Fran. I enjoyed more than one visit to your garden and Fran visited mine on more than one occasion. Fran always had a smile and was ready with complements and interest. So sorry to hear of Fran’s passing. Her love for gardening and support in activities with the Kelowna Garden Club was evident She was a lovely lady and her spirit and energy will be missed. My condolences. Jim and I join in offering our sincere condolence in the lost of this beautiful soul that Fran was! May she rest in peace and joy after a though battle with her body!